We were asked to help put on a weekend exhibition for the Ffrith Beach, Astrobowl, located in Prestatyn along the coast road. 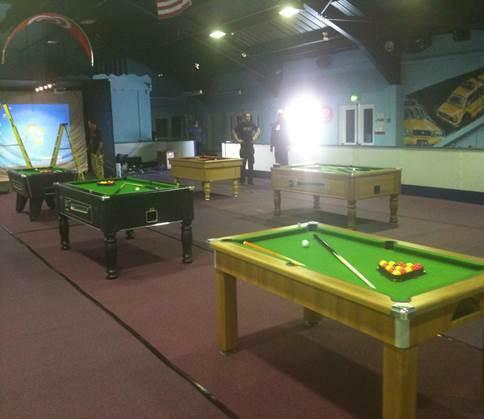 They wanted the room filled with 6 Pool Tables as they were holding a local Pool Tournament in which anybody could enter and play during the weekend event. 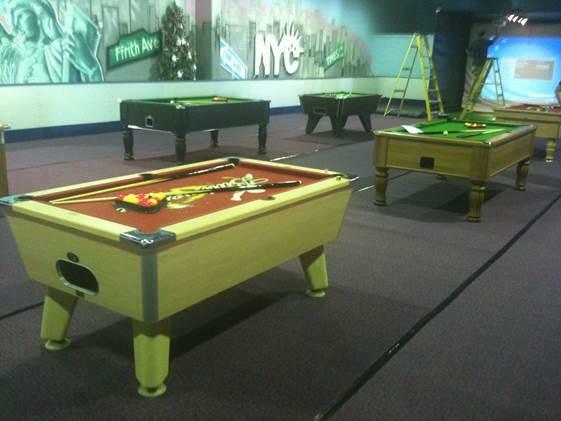 We sited 6 free play Pool Tables which were fully Refurbished and Valeted and Recovered before we set them up. We even recovered the Beech Omega Pool Table with a Budweiser Logo Cloth, which they thought looked fantastic! 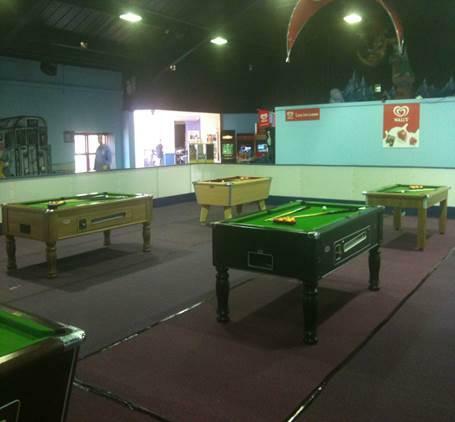 They are a regular customer of ours and we supply all of the Arcade Machines to them, we also regularly Recover four of their Pool Tables in the Bar area of the premises.